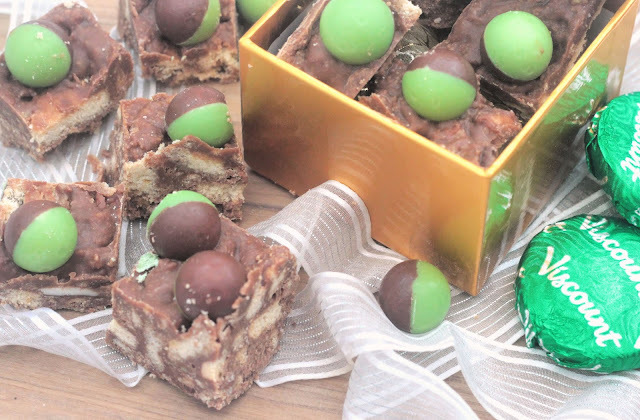 This no bake mint chocolate tiffin is a great thing to make with the children. My youngest made this with me and it was good for him to see what exactly went into it. It is the kind of thing that he would order to have in a coffee shop and is now well aware that there isn't anything good in it. But life would be boring without the odd little treat wouldn't it? When I was shopping for this, I had totally forgotten about viscount biscuits. My Mum used to buy them when I was a child and it was a trip down memory lane eating one of these. They worked really well in the tiffin, but I guess mint Trios would also do the job. 100g Areo peppermint bubbles. Half cut in half and the rest to go on top of the tiffin. Stir in the butter and golden syrup. Place the Visvount and digestive biscuits in a zip lock bag and crush with a rolling pin. It is nice to have a few chunks so don't make it all into crumbs. Mix the biscuits in with the chocolate. 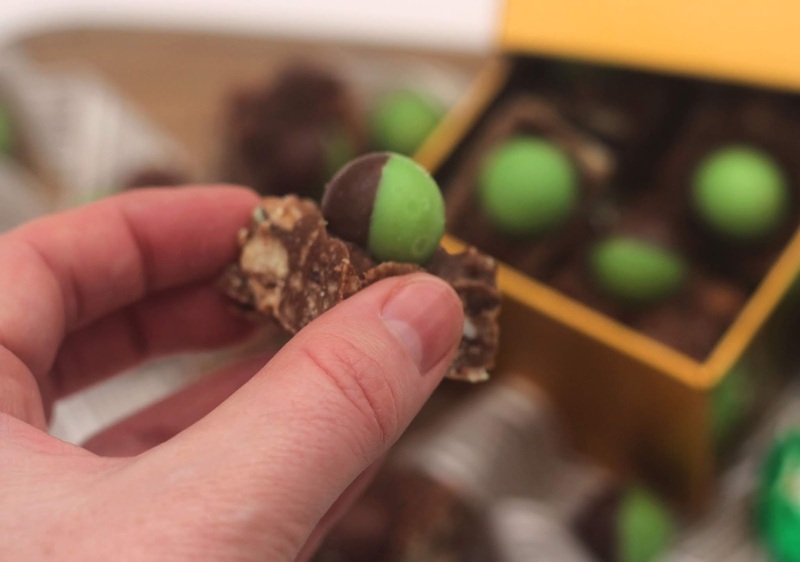 Mix in the Areo peppermint bubbles that are chopped in half. Line a baking tray with grease proofed paper and spoon in the tiffin mixture. Press down the mixture and then add the remaining peppermint bubbles. Place in the fridge until it has hardened, then cut into chunks. I love the sound of a mint tiffin, but i fear i would eat all the viscount biscuits before they went in the mix!! !It really does look scrummy. 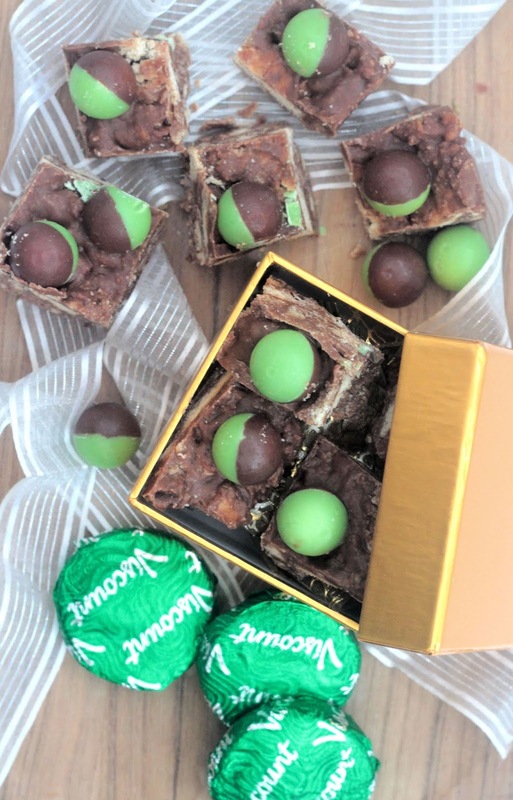 Thank you for linking to #CookBlogShare. Oooh thanks - better have a look into it x Keeping the viscount biscuits away from the boys was hard!